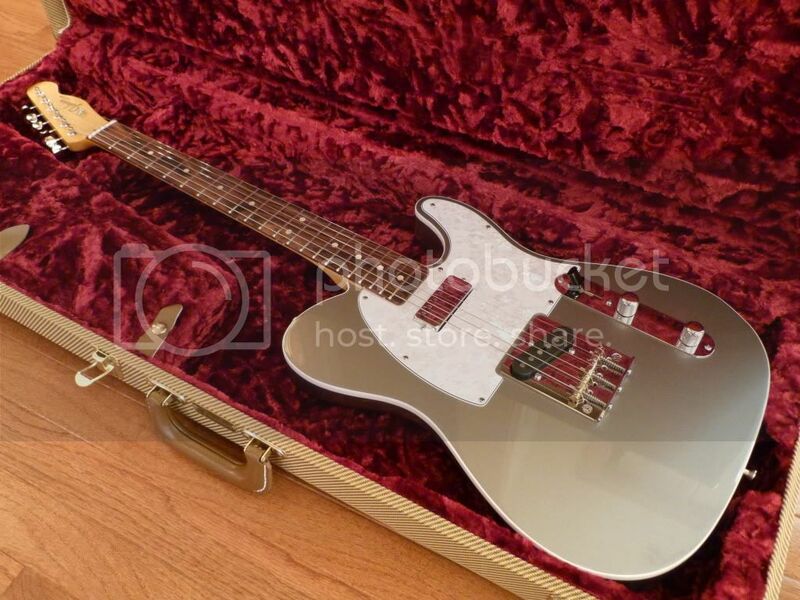 Hot Rod Deluxe Tele "partscaster" done! Discussion in 'Guitars in General' started by LJOHNS, Feb 28, 2012. I finished my first "partscaster" and I am very pleased with my end results! Had a fret dress and set up done professionally. Props to Charlie Powers at Guitar CPR in Fairmont, WV for another great set up job! You never really know how it is going to sound until complete but I made a winner here! The binding is a nice touch. Hope it sounds as good as it looks , looks great! 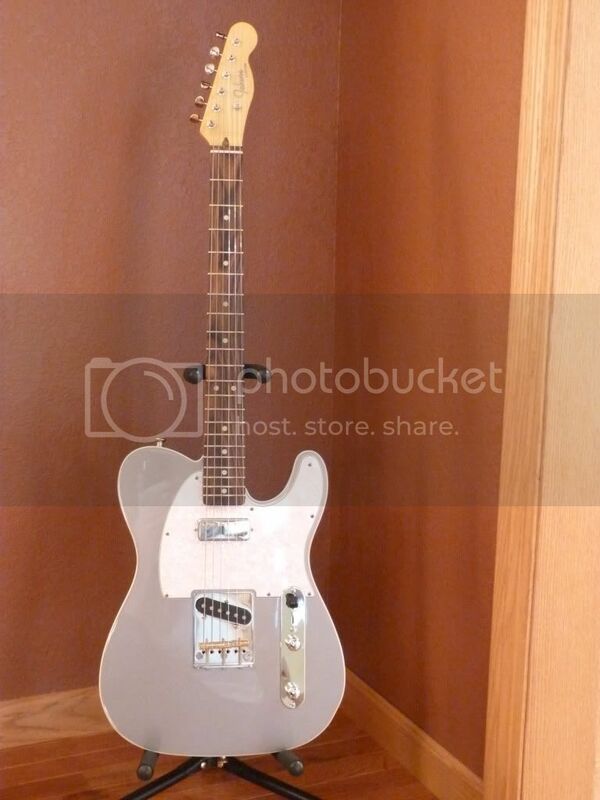 That's a great looking guitar you built. Bet it sounds sweet with that minihum too. Beautiful. Very nice and Charlie Powers in a great guy! This is my first guitar with a mini hum and I really love it. I couldn't be more happy with the tones! 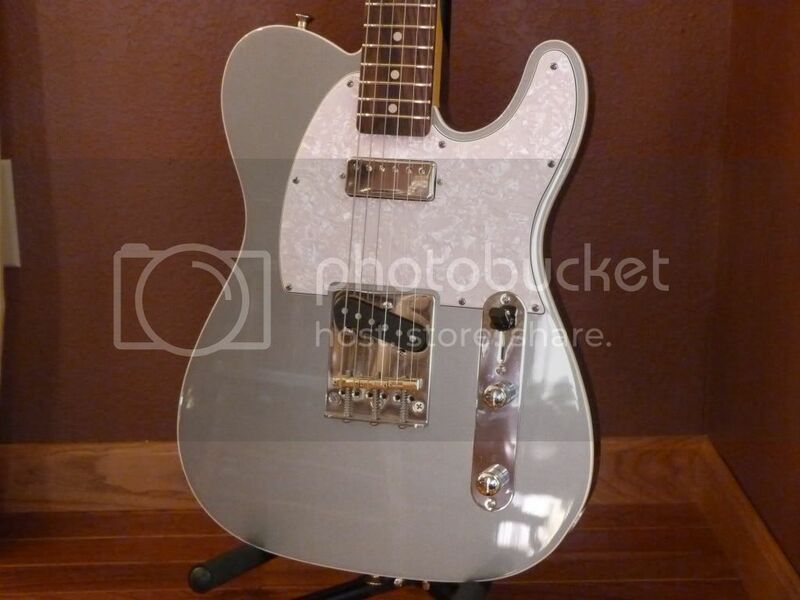 I'm building a partscaster myself. 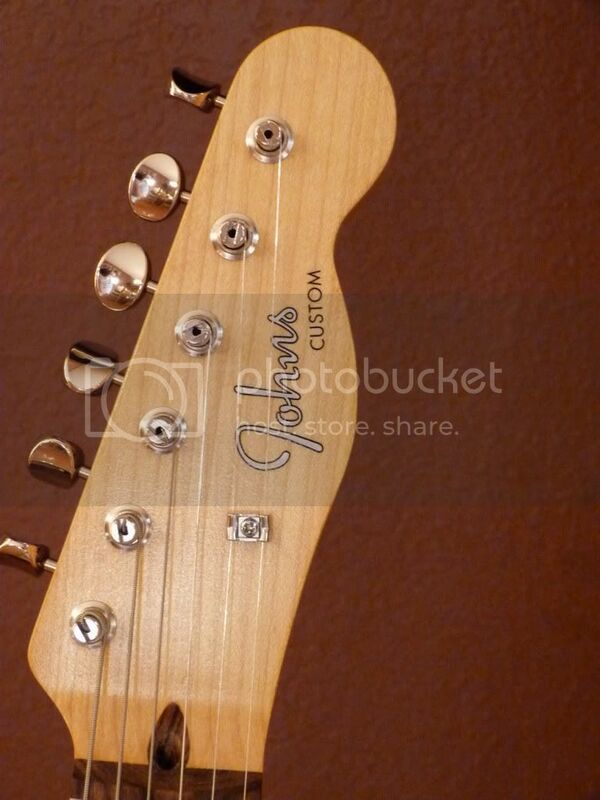 My neck should be here sometime in mid April. Until then I must learn patience. Small world docsmith! - I live about 30 min from Bethel. Worked in that area a lot from 2006 -2011 also. Beautiful. That's a fantastic looking fretboard. Very sharp. FB grain is nice. 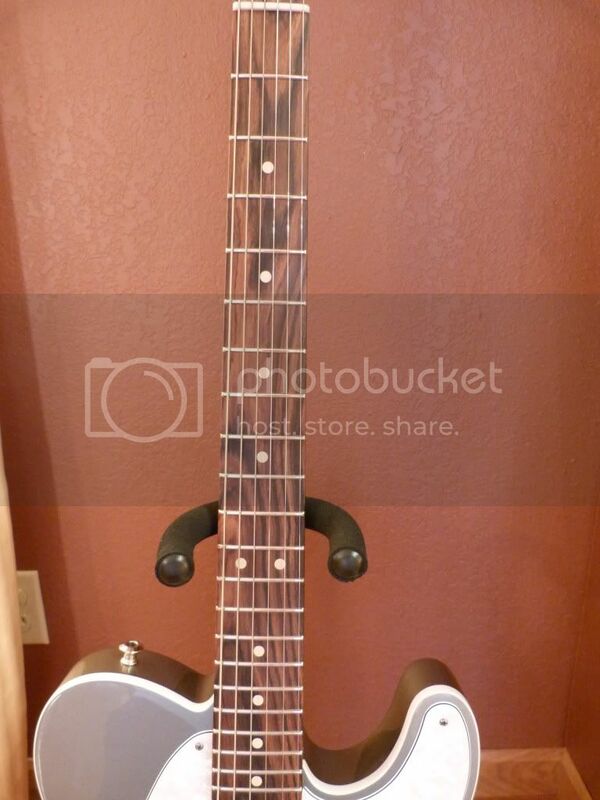 I've been thinking about a similar build w/ a tungsten deluxe and Warmoth neck. 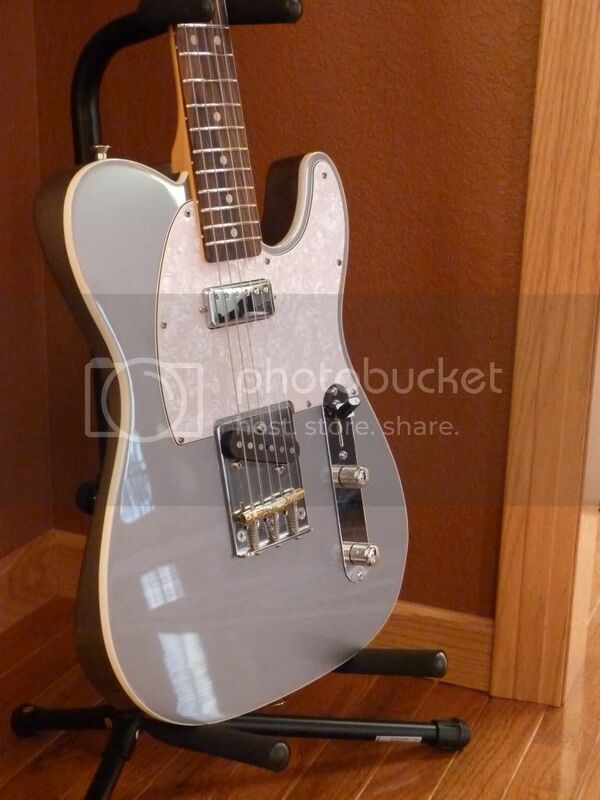 love the binding and the pearloid guard - nice looking tele!